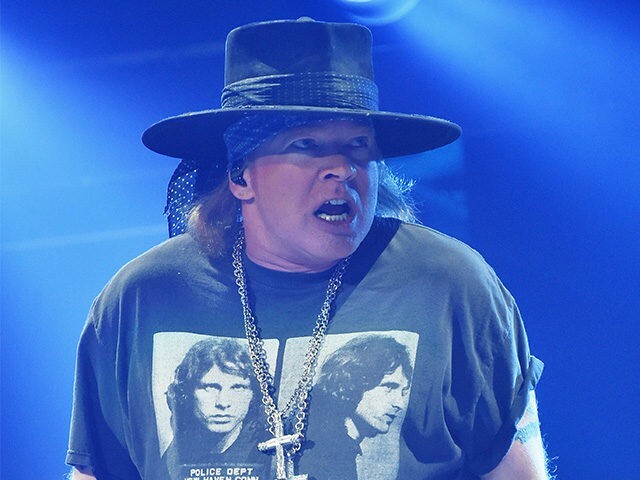 Guns N’ Roses co-founder and frontman Axl Rose took to Twitter this week a blasted Apple CEO Tim Cook, comparing him in a negative light to President Donald Trump. “Tim Cook is the Donald Trump of the music industry,” Rose wrote on Tuesday night, an apparent reference to Apple Music, which Cook isn’t the head of. While the Rock and Roll Hall of Famer didn’t explain the reasoning for his tweet, Rose’s anti-Trump invective is hardly new. Last week Axl Rose called the acting director of U.S. Immigration and Customs Enforcement (ICE) Thomas D. Homan a Nazi. “Where’s that ICE Nazi Homan when u need him? !” Rose tweeted. A month after Trump won the presidential election, Rose and his band led fans at their Mexico City concert on stage to beat a giant piñata bearing the likeness of then-President-elect Trump. A few weeks before that stunt, Rose ripped then-Alabama Sen. Jeff Sessions. “Good people don’t listen to, acknowledge, nominate or elect people like Senator Jeff Sessions.